I read a little blurb in the July issue of Entrepreneur Magazine called Temper, Temper! Apparently a Rice University research team has discovered moody office mates contribute to overall creativity and innovation. "When people are in good moods all the time, it can lead to complacency," says Jennifer M. George, professor of management and psychology at Rice University and co-author of the study. "A negative mood can give you that push to put forth more effort." The article offers some tips for managers of less than sunny employees. Zip code maps are helpful things in our line of business. Compiling data on certain geographies that aren't defined by city, town or county borders requires an understanding of how those communitites fit together, and zip codes can be a useful tool. So, here's a resource that combines the U.S. Census Bureau 2006FE Tiger/Line ZIP Code Tabulation Areas with Google maps, resulting in several types of maps, including zip code maps and hybrid zip code maps. The hybrids show roads and towns below colorful zip code boundaries, and you can also click for a satelite view (without zip codes) to see the lay of the land. This month, the U.S. Small Business Administration announced the SBA’s Patriot Express Pilot Loan Initiative for veterans and members of the military community wanting to establish or expand small businesses. Here's a Hispanic Business.com article that links to the new section of the SBA website. Years ago I received a call from a director, looking for models from other communities regarding the conversion of dilapidated or depressed parts of towns. I thought of that immediately when I heard of a new website, called SustainLane. I wished this was around back then. Here's how it describes itself (from their home page): "Our open-source knowledge base speeds discovery, research and networking with more than 105 best practice documents and a secure directory of participating government officials from over 400 cities, counties and states." This "knowledge base" is searchable by a number of categories. Many of them focus on environmental issues, but there is a distinct category called "Economic Development". If you click on this, as of today the first document you'll see is a description of San Diego's "Abandoned Property Rehabilitation Program". Again, this would have been handy to have a few years ago. There are many others. Keep this site in mind, then - especially if you're serving (or know someone who's serving) on any local economic development steering or planning committee. "The Institute For Integrated Rural Tourism works with communities and individuals to develop tourism systems in which rural people and rural life patterns form the foundation of the touristic experience." By Todd Comen, Associate Professor, Hospitality and Tourism Management, Johnson State College, Vermont, USA. Telling the story of rural life patterns through the tourism experience. The Wall Street Journal had one of those tests to determine whether someone meets the "psychological profile of entrepreneurs here. But, as the article notes, "Not everybody agrees there is an entrepreneurial personality type." So, I'm looking for some AUDIENCE PARTICIPATION here. What tests, if any, do you use to gauge entrepreneurial propensities? Do you think they are useful or just a bunch of hooey? Your score: You're motivated primarily by achievement. Most entrepreneurial people are driven by the need to achieve. Where Are Search Engines Sending You? Every so often, McAfee (the company that provides popular security software for home and business computers) evaluates the safety of the links generated by the most popular search engines. In early June, they released "The State of Search Engines" as a 2007 follow-up to similar reports written in 2006. If you've ever run a site analysis using McAfee, you'll know that they use a color-coded system to flag sites that feature security risks such as spyware loaders, high-volume spam generators, hyper pop-up ad creation, etc. This particular study theorizes that people rely on search engines to get what they want. So, the company reviews just how frequently search engines expose you to sites that they consider dangerous to your computer's security. Overall, 4.0% of search results link to risky Web sites, which marks an improvement from 5.0% in May 2006. Dangerous sites are found in search results of all 5 of the top US search engines (representing 93% of all search engine use). The improvement in search engine safety is primarily due to safer sponsored results. The percentage of risky sites dropped from 8.5% in May 2006 to 6.9% in May 2007. AOL returns the safest results: 2.9 % of results rated red1 or yellow2 by McAfee SiteAdvisor. At 5.4%, Yahoo! returns the most results rated red or yellow. Google, AOL, and Ask have become safer since May 2006, with Ask exhibiting the greatest improvement. The safety of search results on Yahoo! and MSN has declined. Which engines are you using? And are they safe? Maybe we'll keep this new look, maybe we'll change it. And your opinions matter. Either way, stay tuned, for new logos, headers, and maybe even some sort of feature to make it easier for us all to communicate in this space. "Although immigrants make up less than 14 percent of all workers, they represent about 40 percent of those in large carpools. The percentage is particularly high among Hispanic immigrants, who are largely responsible for the recent growth in carpooling after 30 years of decline. Recent immigrants also are more likely to walk or bike to work, or to use public transportation." *The key is that the New York metropolitan area with 2.2 million households without vehicles, more than the entire West region of the nation and equal to the Midwest, totally distorts the Northeast picture. New York has about 20% of the nation’s vehicle-less households and the rest of the Northeast the other 14%. Without New York the Northeast shares, with more like 7% of households without vehicles, look very much like or are even lower than the other regions of the country. *Driving Alone continues to increase. Private vehicle shares were over 80% for 14 states with Michigan highest at over 83%. There were 33 states between 70% and 80%. New York is in a class by itself at 56%. *The New York metropolitan area obtained a 38% share of national commuting on transit, up from 37% in 1990. *Only New York State had more than 10% of workers traveling over 60 minutes in 1990, but New Jersey, Maryland, Illinois joined the group in 2000 – and California came close. Extreme commutes (those more than 90 minutes) were typical in the same set of states. EDIT: In case you're having trouble reading the link to the great New Yorker article Darrin referenced, go here. It makes a reference to a post that appeared here last December. The blogosphere is nothing if not self-referencing, but I'm a bit bummed that our title is considered "less entertaining" than other library blogs out there. Just the title - not the content itself. Maybe a name change is in order. Any ideas? "Library Card CataBlog"? "Blogolicious"? I'll take suggestions. As I think most of you know, I'm always on the lookout for news articles about the SBDC and our clients. Some of you are great about sending me new pieces that feature your workshops and successes, and I love you for that! Type in the keywords that you are interested in. 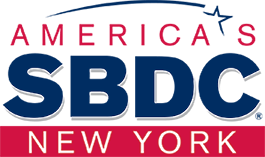 I have two alerts set up here: One for “SBDC” and the other for “Small Business Development Center.” Those are broad, but since I am looking for all the NYS centers, “New York” may never appear in the article. I get a lot of articles I have no interest in, but I skip through them quickly, and catch things I might have otherwise missed. Google Alerts is similar. Choose your search terms, how often you want to receive messages etc., and add your email address. Do you have other databases at your disposal? Or local online newspapers? Oftentimes they will also have an alert feature, or you can save a search. I have searches saved at bizjournals, EBSCOhost Academic Search Premier, and Newsbank, and receive emails from these databases when my search terms appear in their content. If you need any help setting up alerts in these or any other databases, let me know, and I’d be happy to assist. I attended the State Data Center Affiliate meeting last month. Periodically over the next few weeks, I'll be sharing things I've learned. The big thing the Census Bureau his working on is the 2010 Decennial Census. It may seem far away, but there is a lot of preparation that goes on. Even though the charge of the Census is to count people, the Census first needs to establish residential addresses where they can send forms. There is something called the Master Address File. They ask local officials to verify the addresses they have, through a program called LUCA. Of course, addresses change in in obvious and not-so-apparent ways. New construction will add to the housing stock, while demolition, including fire and natural disasters, will reduce it. But a change of usage will also affect the housing stock; for instance, an office building that turns its upper floors to apartments or condos will add to the roster. So will turning a one-family home to a two-family home by creating an "in-law" apartment in the basement. Verifying an address can be tricky. Check the picture above. Just how many addresses are there at this building? Does one count the number of mailboxes? The number of buzzers? And how are those apartments designated? A, B, C or 1, 2, 3 or 1st floor front, 1st floor rear, or something else? Getting an accurate count is vital to New York. Based on population shifts, New York State is certain to lose one Congressional seat after the 2010 Census; whether it loses a second one may well be determine on how well New Yorkers are counted. As a provider of health insurance options to its members, NFIB has a vested interest in this issue. If your clients don't know of these options yet, perhaps you should give them this link.